Welcome to Maasin City, Southern Leyte and the nearby provinces and islands within Region 8, which is in East Central Philippines! Welcome specially to the citizens in the Russian Federation, Scandinavia, Eastern and Western Europe, Canada, America, Latin America, Japan, Korea, Australia, New Zealand and other countries in and near the northern and southern hemispheres where you have several months of the fall and winter seasons to deal with. 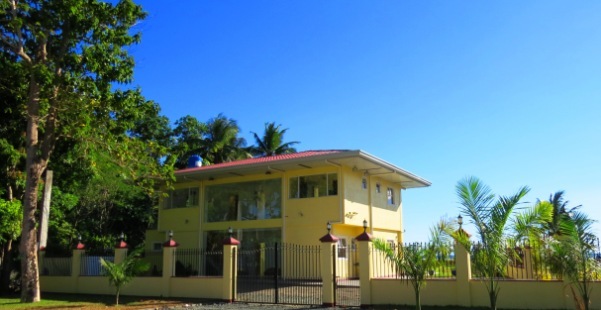 You could easily travel near the equator to spend your retreat, tour, summer or warm vacation; to study, retire and/or invest in one of our tropical over 7,600 islands in the Far East country. Here are the 12 Best Tourists' Attractions out of so many other travel destinations in Region 8! Welcome too to the national and international guests, investors, tourists and other visitors in Maasin City, the birthplace of Pres. 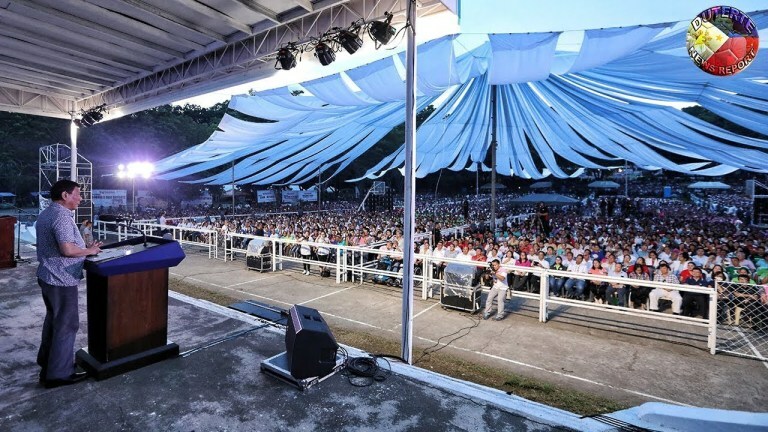 Rodrigo R. Duterte. He was born, raised and enrolled up to his first grade at the Laboon Elementary School, in one of the 70 barangays or barrios in the capital city. Pres. Duterte, is the first one in our country who was born in Region 8, Laboon, Maasin City, Southern Leyte! According to the famous international travel magazine, Cond� Nast ranked Palawan #1 of the Top Islands in the World 2016! Moreover, Cond� Nast reported that "for travelers willing to go the extra thousand miles for a deserted beach, the Philippines has around 7,000 of the most heavenly islands in the world. It's still not the most obvious beach-holiday destination, but it soon will be. It's becoming particularly popular among serious divers, who come for the incredible underwater life, unspoilt coral gardens with rainbow-bright fish, green sea turtles and dugongs." 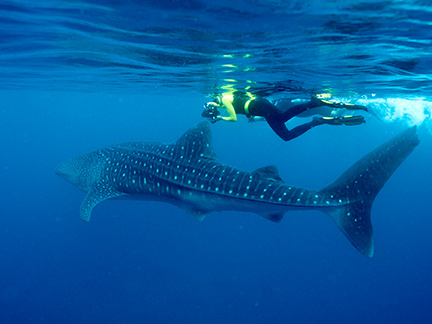 In Bicol region as well as in Cebu and Southern Leyte, some of the adventurous tourists swim with the world's biggest fish, the whale shark. For those that travel from the cold hemispheres, we have the hot spring in Anahawan, Southern Leyte! An alternative way to visit us is to take a flight to Mactan-Cebu International Airport. You can take Air Juan by chartered service from Mactan or Manila to Panan-awan Airport in Maasin City. 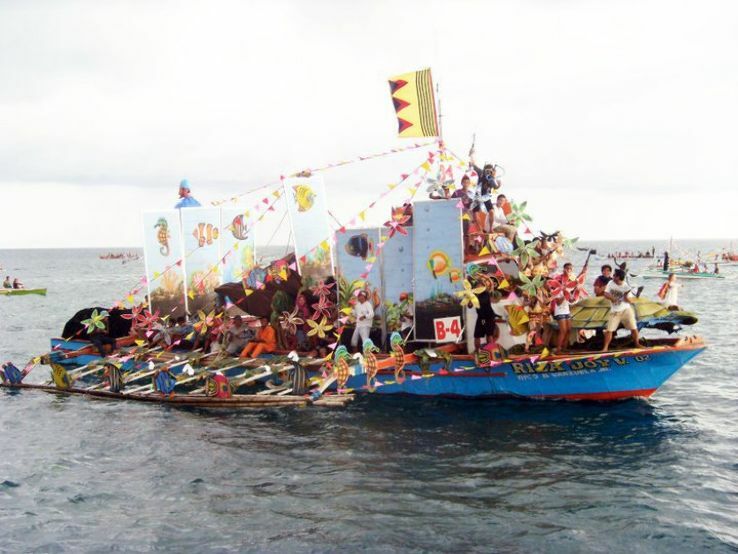 Most travelers from Cebu City take the Cokaliong ship which travels about 2 times per week direct to Maasin City. 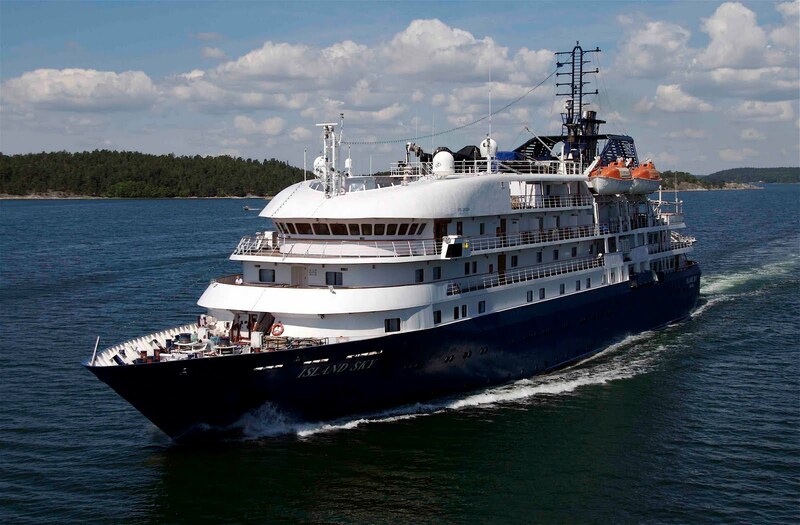 There are also daily trips from Cebu City to Southern Leyte via Bato, Hilongos, Baybay City and Ormoc City. 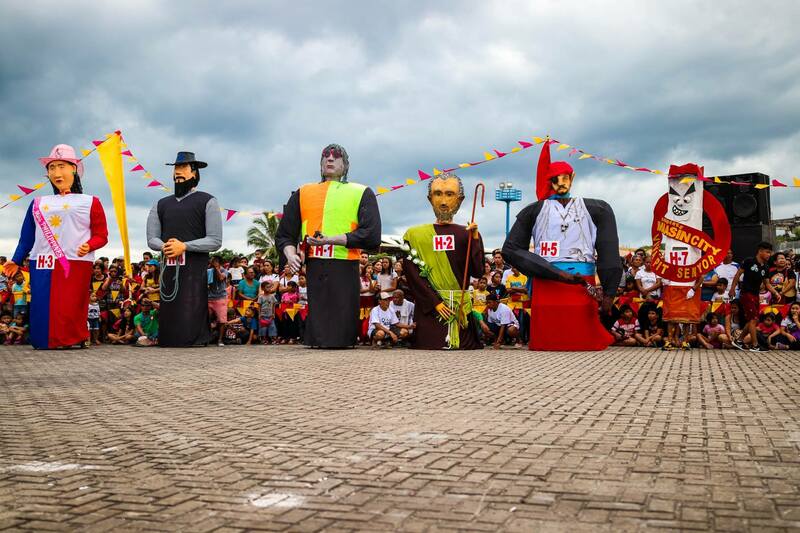 They are located in the northwestern side of Leyte province. We highly recommend the Philippines' online travel site www.tripmoba.com, which can take care of your inexpensive domestic, international airlines, and hotel bookings! We have the newest & 2nd seaport located in barangay Guadalupe (Can-iwan), Maasin City. 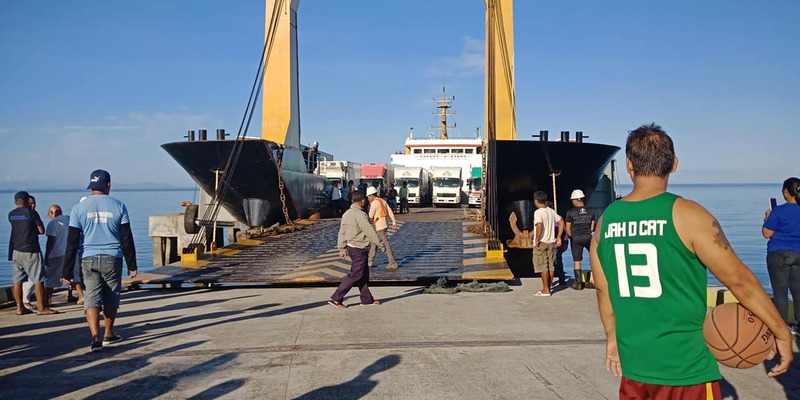 Soon, the ferries & other fast crafts from Cebu City & Ubay, Bohol will open their shipping lines to Guadalupe. From these towns, Ormoc & Baybay cities, you can ride the buses, jeepneys, or taxis (vans) which travel several times daily down here in Maasin City. There is no need to worry about when you travel in most provinces in our country. Under the new Administration, the drastic, positive changes are ongoing in the big metropolitan areas as well as in the small towns. 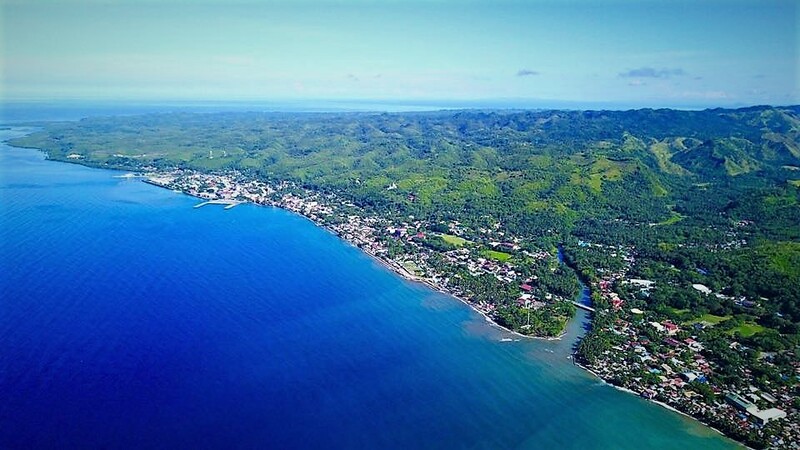 Right now you have the option to travel in to the ideal and truly "green" Province of Southern Leyte, explore its 3 nearby smaller islands: Limasawa, San Pablo and San Pedro. If you search the Internet, there are many travel guides which the non-residents wrote about and took pictures of Southern Leyte as well as Leyte, Biliran and the 3 Samar provinces. You will find the 11 places in 2015 to convince you to travel with a backpack in Eastern Visayas. Thus in this website, we who are natives of both Leyte and Southern Leyte would like to share with you the extra information and pictures which are not covered and included in the familiar travel guides. For example, Leyte is the Most Friendly Province. In addition, here are the lists of the hospitals in Region 8. The modern hospitals in barangays Dongon and Isagani in Maasin City, Southern Leyte are operational since March 2014, and June 2016 respectively. We can provide you with the reliable persons to contact with and right information to see our famous scuba diving, the whale sharks, marine life, coral reefs and mangroves, the gray, ivory and white sandy beaches, caves, rainforests, waterfalls and other famous attractions. When you tour, visit or take a vacation to experience and enjoy our famous ecological and historical attractions, you can reach our truly green province by boarding a flight to the Ninoy Aquino International Airport in Metro Manila. 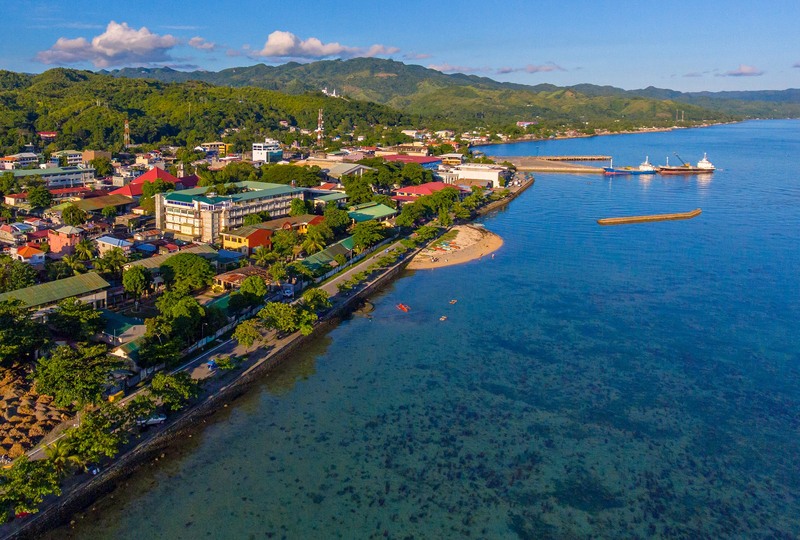 Then from the Manila Domestic Airport, take a connecting flight to Tacloban City, the capital of northern Leyte. We highly recommend that you spend a week or more days touring the historical, ecological and other attractions in Leyte, Biliran and Samar provinces. 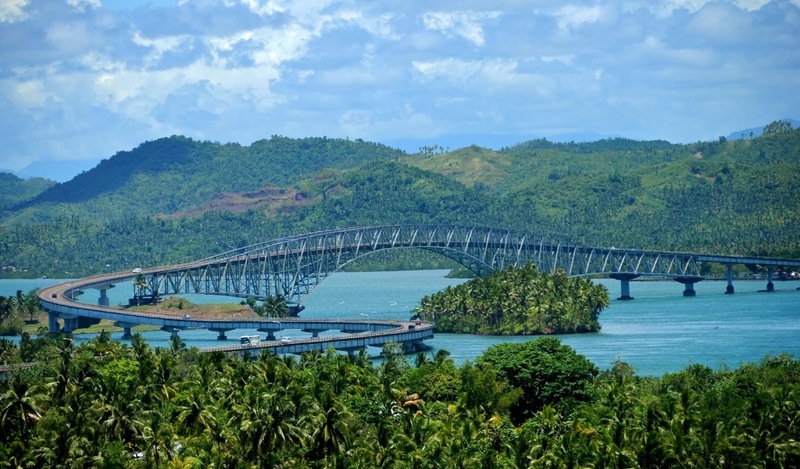 Do not fail to visit the Gen. MacArthur Landing Memorial, Santo Niño Museum, San Juanico Bridge (longest bridge in the country), Visayas State University in Leyte, which has the largest agricultural campus in the entire country, and the various attractions in Biliran and Samar provinces. For more travel guides and other information on Region 8's northern provinces, please click on the Leyte links below. When you are done touring Leyte, Biliran and Samar provinces, you can then continue with your travel and tour down to Southern Leyte. From Tacloban City's taxi van and bus stations, you can take one of the passenger vehicles from very early in the morning up to late in the evening bound for Maasin City, the capital of Southern Leyte. The van or bus ride along the straight and zigzag concrete highway and bridges takes about 3.5 to 4.5 hours from Tacloban City down to Maasin City. Upon arrival in Maasin City and if you are seeking for a fine place to stay, we suggest that you check-in either at the Ampil Pensione, Southern Comforts, and Villa Romana Hotel all 3 of them are located in barrio Abgao. The Jaimee's Hotel and Resort is in Ibarra and the newest Caimito Beach Hotel is in Pasay, just 6 kilometers east of downtown Maasin. 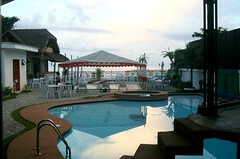 Farther southeast, the Kuting Reef Resort, and Manaya Beach Resort are located in Macrohon, the next town after Maasin. One 5-star small resort is the Padre Burgos Castle Resort located right on the southern tip, called Tangka-an point, of Padre Burgos. From the castle, you can see the best view of Sogod Bay and the famous Limasawa, an island town southwest of Southern Leyte. You may also find other hotels, inns, lodges and restaurants which are listed in the local telephone directory. 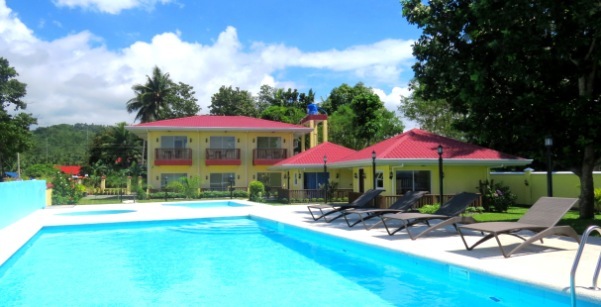 The air-conditioned, nice and cozy lodging places are located in Maasin and Macrohon, Southern Leyte about 5 to 45 minutes by motorcab, jeepney, van or bus from the Maasin City pier and bus stations. 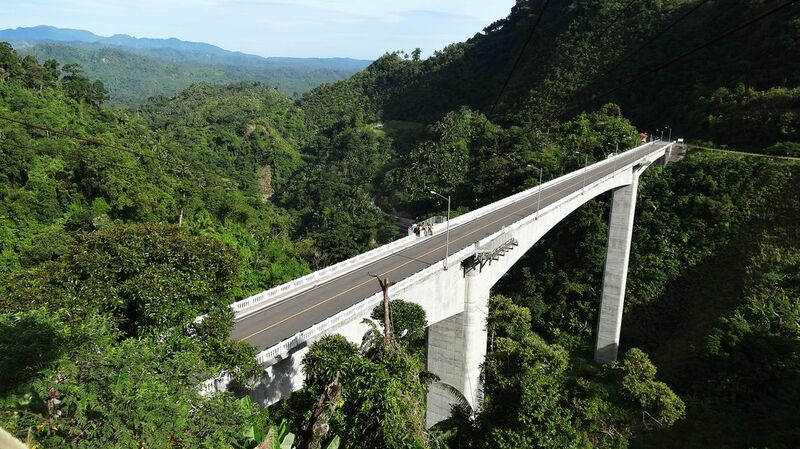 The Agas-agas Bridge in Sogod, Southern Leyte is the tallest bridge in the country. During the first few years of its opening the zip line & cable car had attracted hundreds of the more adventurous visitors. In the future and it depends on the visionary investors, the Agas-Agas Bridge can be developed into an adventure/ecological park with camping, retreat & conference center, trail hiking, river exploring ...The zip line & cable car could be re-opened with the establishment of the new bungee jumping, rappelling, paragliding, downhill skateboarding & other exciting outdoor sports. 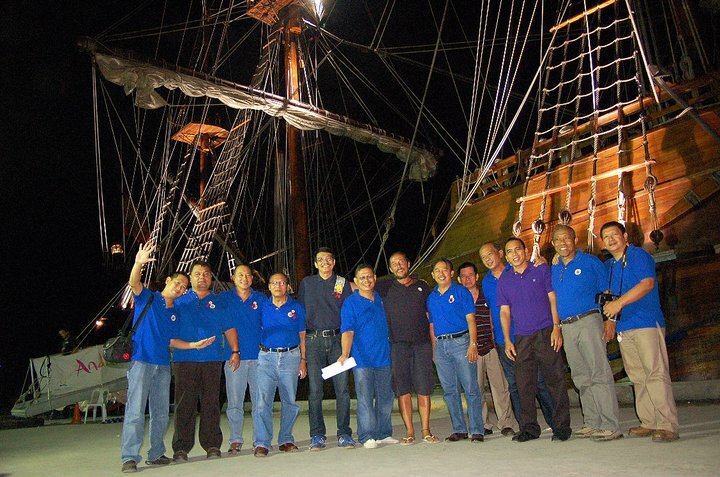 The internationally famous Spanish Galleon Andalucia attracted over 17,800 visitors at the Maasin City seaport in November 2010. Galleon Andalucia was so impressive. It reminded some of us when Magellan and his expedition and circumnavigation forces in three (out of 5) sailing ships from Spain anchored in two of the islands in our Region 8: Homonhon and Limasawa in 1521. We would like to extend our heartfelt concerns to our fellow Filipinos and those who work with and the owners and stockholders of certain companies, factories, industries and organizations in the low-level Metro Manila to relocate permanently far away from the 15 million populated and overcrowded cities to avoid suffering the usual and megafloods. The floods will happen again frequently in the future. In addition, you are absolutely risking your lives living and just waiting for the long overdue big earthquakes, tsunamis and aftershocks to hit Metro Manila. Millions among you would someday suffer a similar fate as the people in Mexico, Turkey, Japan, New Zealand, Chile, and Haiti! 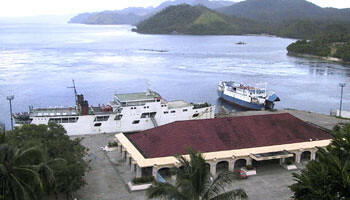 Furthermore, when you are going to tour, visit or take a vacation in Southern Leyte, we highly recommend that you venture out to the concrete roads and bridges from Liloan to San Ricardo, Panaon island, to see the latest ferry terminal which can take the passengers and vehicles about one hour by ferry bound for Surigao in northern Mindanao. In your itinerary, we suggest that you include driving or riding through the new concrete highway and bridges from Silago, Southern Leyte to Abuyog, Leyte or vice versa. Most importantly, we suggest that you visit the Tahusan Beach in Hinunangan, Southern Leyte which faces east to the Pacific Ocean. 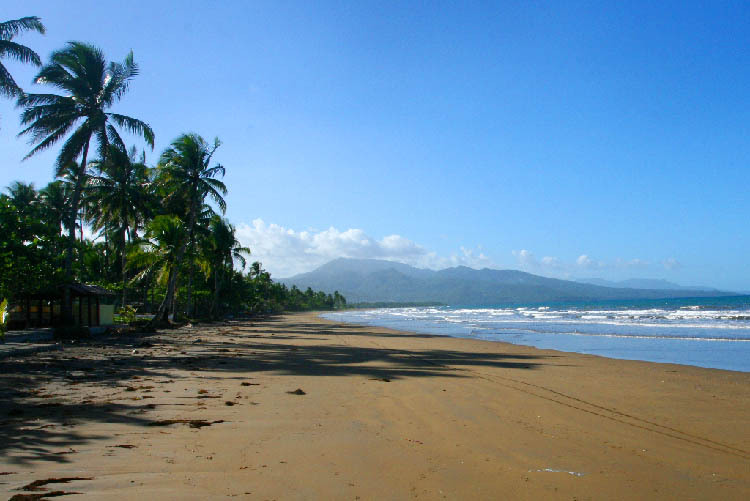 Tahusan Beach is about as long, if not longer, and as wide as the world famous Papuhaku Beach in Molokai, Hawaii. 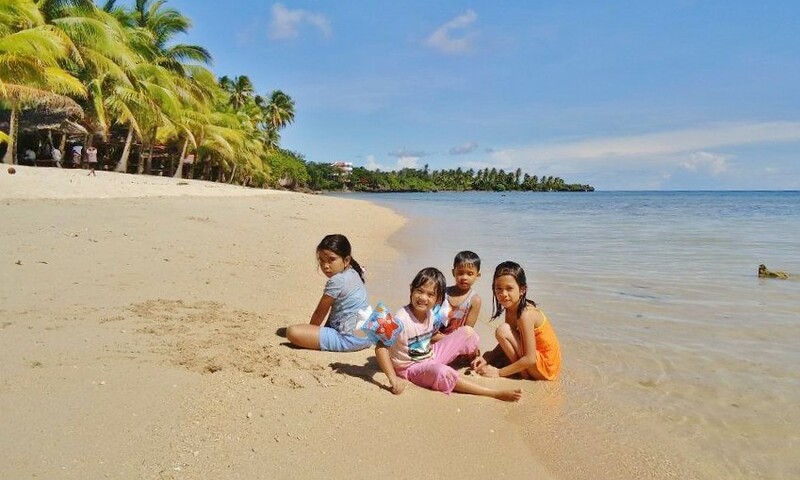 But, Tahusan Beach has additional attractions: the beautiful, fantastic and photogenic San Pablo and San Pedro islands across the blue channel. 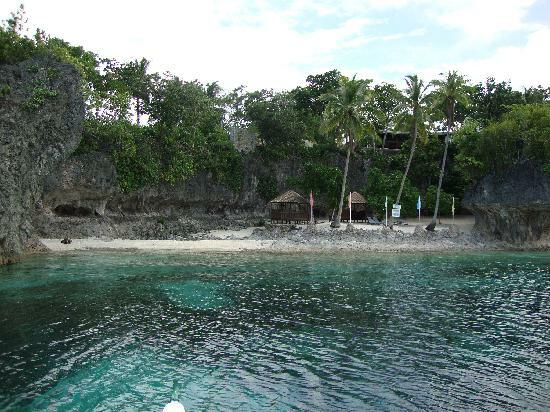 Moreover, we recommend that you explore the historical, ecological, scenic and the scuba diving attractions in Sogod Bay as well as the Limasawa island! 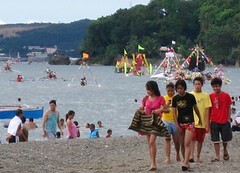 "Sogod Bay now has 11 marine sanctuaries within the Bay. Limasawa is the latest marine sanctuary in the bay; it's one of the largest marine sanctuaries in the Philippines and includes two of our dive sites Adrian's Cove and Zack's wall. The Southern Leyte Government is pushing for more marine sanctuaries within Southern Leyte and is a big supporter of the marine environment and eco-tourism. There are a few new discoveries in Sogod Bay. In our marine sanctuary in Santa Sofia, we have seen a flamboyant cuttlefish, in the Lungsodaan marine sanctuary we have seen 3 different coloured pygmy seahorses and on Napantao marine sanctuary we've found a warty frogfish. The whale shark season has started; we have been on 10 whale shark trips this year. Plenty of plankton in the water hopefully this will be a good season," according to the website of Sogod Bay Scuba Resort. Regarding our intentional community, we are still a proposed project. We have been praying and hoping that some generous churches, foundations, organizations and individuals from all over the world would join and partner with us to build the self-sustainable 700th Millennium Community. Our business associates, the Karyan Services Unlimited, can provide language translation and few diversified services to the Armenian, Russian & Russian Federation tourists, travelers and/or investors who are planning to visit our Region 8. Also, as consultants, we can work with you to have a successful tour, vacation, investment and retirement in Southern Leyte. We are associated with and can refer you to a reliable general construction firm with around 45 years experience in Southern Leyte. Finally, please check with the offices of Congressman Roger G. Mercado, Governor Damian G. Mercado and Mayor Nacional V. Mercado in Maasin City, Southern Leyte, and their counterparts in Samar, Biliran and Leyte provinces, for the official information on touring, visiting, investing and/or retiring in Southern Leyte. Where else can you find the world's 3rd-largest English-speaking country and a haven for comfort, dignity with centuries of tradition on natural hospitality? Please read the maps, directions and other related information from the Australian, Canadian, U.K., U.S. and other foreign embassies in Metro Manila before you visit, tour or take a vacation, and to invest or retire in Southern Leyte or Region 8. 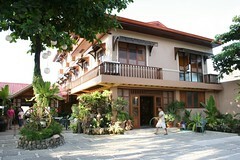 To see additional pictures along the coast of Maasin City and Southern Leyte, please click on landscape pictures. If or when you need additional information, feel free to contact us or the Trip Advisor. The 700th Millennium Community is one of the top reliable and trusted sources of general information in the country! Biringan City In The Philippines Reptilian Secret Hideout? Battlefield 1 (of 10 videos): "Leyte Gulf"
Limasawa Island ... - Beyond History! Dedicated in memory to all of our loved ones & friends in Region 8.